Although I have a tendency to fall asleep when the sun is heating the car (I get that from my mum), I absolutely don’t want to miss anything while on the road. The destinations are nice and all, but watching what is happening around you on the road allow you to see the less touristic face of a country. And if you pay attention, you will smile and wonder a lot. There are many wonders to discover in Jordan. 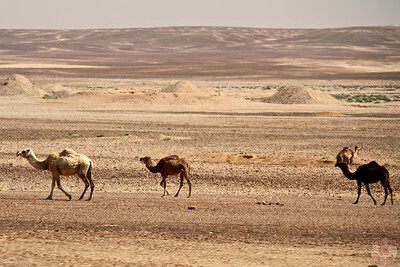 The picture above gives you a glance at it and you can find information and more photos on my Jordan Desti﻿nation Guide. 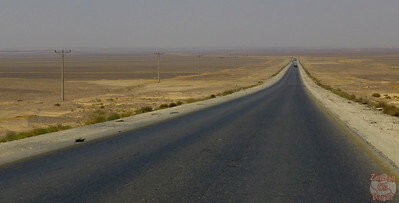 However this post is dedicated to small wonders I discovered from the car along the Jordan roads. I hope they will make you smile too. A classic pleasure while on the road in a foreign country is spotting road signs that you never see where you live. 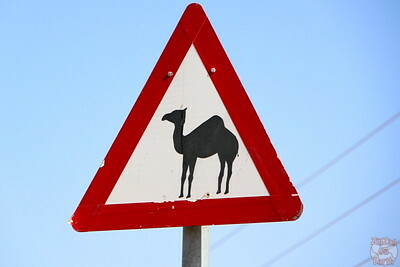 I just love them: Leopard in Namibia, Koala, Kangaroos or cassowaries in Australia and … Dromedaries in Jordan! This is not Namibia or another South African country where you can spot wild animals along the road eveywhere, but it is quite fun to spot dromaderies while on a boring drive along flat dry land. For this one I do not have a picture but I was simply shocked when I saw it. Here is the thing that I was really not expecting to see in Jordan. It makes sense but tornadoes are not something I normally associate with that country. 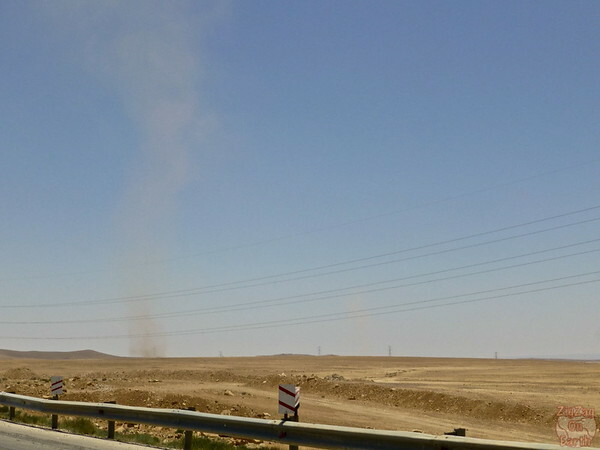 However I spotted sand tornadoes on my way to the desert castles. Look at the picture, see it? So try not sleeping in the car and you will go back home with some great memories to share!